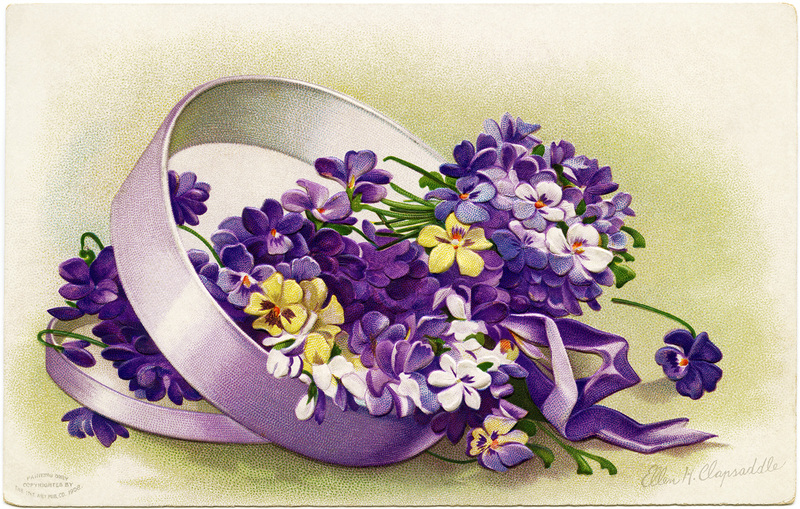 This pretty Easter postcard, by vintage artist Ellen Clapsaddle, features an open hat box that has been set on its lid and is tilted to the side. Beautiful purple flowers spill from the box. The message on the postcard is “Good Wishes for Easter”. For additional creative options, here is a version of the postcard without the writing. Click on images to enlarge.